UPD: As by April 2019, the store is about to move to Via Spiga 52. + list of perfumeries/erboristerias with L'Erbolarion production - at L'erbolario website. Brands: 777 Stephane Humbert Lucas, Al Haramain, Andy Tauer Parfums, AEDES DE VENUSTAS, ALTAIA, AUTENTICA DI FELSINA, BRERA6 PERFUMES, Ciatu Soul of Sicily, Eight&Bob, Eau d'Italie, Fragrance du Bois, FREDERIC MALLE, Goldfield&Banks, GEODESIS, Heeley, Indult, Jovoy, Jeroboam, Keiko Mecheri, Le Labo, Lorenzo Villoresi, Le Galion, Monom, MALIN+GOETZ, Mancera, MONTALE, Nomenclature, Olfactive Studio*, Ormonde Jayne, Puredistance, Royall Bermuda, Sammarco, Stephanie de Bruijn, Uermi, VIA DEI MILLE. The also used to be By Kilian, Diptyque, Jardin de France, Indult, MAITRE PARFUMEUR ET GANTIER, OLIVIER DURBANO, Parfums de Nicolai, Parfumerie Generale, Tann Rokka***. Brands: Anima Mundi, Acqua di Portofino***, Atkinsons, Alvarez Gomez, Acqua di Biella, ACQUA REALE, ACQUA ALPES**, Acqua dell'Elba, Acqua di Parma**, ACQUA DI SARDEGNA, Anna Paghera*, AERIN, AMOROUD, ANGELO CAROLI, ANGELO SANZIO, ARS MIRABILE, AZAGURY, Acca Kappa, Acqua di Genova, Annick Goutal, Amouage, Boadicea the Victorious, Bois 1920, Bond Nr 9, Bruno Acampora, Byredo, By Kilian, Borsari, BLEND OUD, BOZINI, CASAMORATI, Comme des Garcons*, Cale Fragranze d'Autore, Carthusia, Caron, Cire Trudon*, Clive Christian*, Claus Porto, Costume National, Couto, Ciatu Soul of Sicily*, Comptoir Sud Pacifique, CARTIER LE HEURES DE PARFUM, Creed, Czech&Speak, COQUILLETTE, D.R.Harris, Dorin, d'Orsay, Diptyque, DR.GRITTI, Dr Vranjes, DIANE PERNET, EOLIE PARFUMS, ETAT LIBRE D'ORANGE, Eight&Bob, Esteban, Etro, E.Coudray, Escentric Molecules, Ex Vinis, Floris, Francesca dell'Oro, Franck Bocklet*, Guerlain exclusives, Gandini, GEO F.TRUMPER, Hugh Parsons***, HOUSE OF SILLAGE**, Homoelegans, Houbigant, IL PROFUMO, INITIO, Jul et Mad, Juliette has a Gun**, Jacomo, Jean Patou, Jean Charles Brosseau, Kinski, Knize, Kajal, L'Artisan, Laura Tonatto, Les Parfums de Rosine**, Lorenzo Villoresi, Liquides Imaginaires, Lubin, LM Parfums, Ligne St. Barth, Laduree, Lothantique, Memento, Maison de Reves, Manuel Canovas, MIN NEW YORK, MEMO, Maison FRANCIS KURKDJIAN, MIRUM, MASQUE, Mathilde M, Mazzolari, MariaLux, Miller Harris, Molinard, MIRKO BUFFINI, MORESQUE, Montale, Mancers, Nasomatto, Nez a Nez, ODRIU, Onyrico, OMNIA PROFUMI, ORMONDE JAYNE, ORTO PARISI, OLIVARES & RIBEIRO, PAGLIERI, PANTHEON ROMA, PAOLO PECORA, Paper Passion, Parfums MICALLEF, Parfums NICOLAI, Parfums de Marly, Penhaligon's, PECCATO ORIGINALE, PERRIS MONTE CARLO, Profumi de Forte, Profumi di Pantelleria, Panama 1924***, Reminiscence, Robert Piguet, RAMON BEJAR, RANCE', RE PROFUMO, ROJA Dove, Rose&Co, SENTIFIQUE**, Susanne Lang, SIGILLI, Stephane Humbert Lucas, Sandalia Luxury, Serge Lutens, SIMONE COSAC, Tann Rokka, The Merchant of Venice, The House of Oud, Tom Ford Private Blend, Taylor of Old Bond Street, Torre de Tuscany, THE VAGABOND PRINCE, TRUFFIT & HILL, The Beautiful Mind, The Laundress, THAMEEN, THE SPIRIT OF DUBAI, The Different Company, Tiziana Terenzi*, Volnay*, Widian by AJ ARABIA, WASHINGTON TREMLETT, WORDS. There also used to be PROFUMO D'UMBRIA, Rigaud, STENDHAL, Serge Lutens. Disclaimer: according to Mazzolari' homepage, there seem to be two stores, which are pretty close to each other - the one at Corso Monforte 2 and other one @Galleria San Babila. The list above is common to all stores. I also have to mention that, visiting the store in July 2018 (the one with a huge perfume section downstairs), I realized that, while there's been are a lot of mainstream, there are not nearly as many niche brands, as listed on the page. Brands: Ajmal, Andree Putman, A Lab on Fire, Boadicea the Victorious, Baruti, Dusita, Eight&Bob, Fueguia 1833, Francesca Dell'Oro, Gabriella Chieffo, I Profumi di d’Annunzio, Kajal, LAURENT MAZZONE LM Parfums, Mad et Len, Mendittorosa, Morph, Nasomatto, Nishane, Orto Parisi, Ramon Molvizar, Re Profumo, Rigaud, Royal Crown Perfume, Roads, SoOud, Santa Eulalia, The Merchant of Venice**, Tiziana Terenzi, The House of Oud. Brands (fragrance department+Olfattorio' corner): Aerin*****, Acqua Delle Langhe, Acqua di Parma, Anima Vinci, Affinessence, ANNICK GOUTAL, Armani Prive*****, biehl.parfumkunstwerke***, BDK Parfums, BLEND OUD, Byredo, Baobab Collection, Caron, Clive Christian, Comme des Garcons, COMPTOIR SUD PACIFIQUE, Costume National, Creed, Chanel les Exclusifs, Culti, Durance, Diana Vreeland, Diptyque, Dior Privee, E.Coudray, Ella K, Esteban, FRANCK BOCLET, Frapin, Guerlain exclusives, HONORE DES PRES, HARVE GAMBS, HOUBIGANT, Jo Malone, Juliette has a Gun, Kiehl's, L'Artisan, LM Parfums*, L. T. PIVER, LAURA MERCIER, Lubin, LES PARFUMS DE ROSINE**, LIQUIDES IMAGINAIRES, LOSTMARC'H, La Compagnie de Provence, Millefiori, MIN NEW YORK, Miller Harris, Molinard, MORESQUE, NASOMATTO, Ortigia, Perris Monte Carlo*, Penhaligon's, Phuong Dang, PROFUMI DEL FORTE, Robert Piguet, Serge Lutens, TEO CABANEL, The Different Company, Thirdman, Tom Ford Private Blend, The Merchant Of Venice**, The Harmonist, VILHELM PARFUMERIE. Brands: 777 STEPHANE HUMBERT LUCAS, 2787 Parfums*, 4160Tuesdays, 401 E AMATRICE, 10 Corso Como, AEDES DE VENUSTAS, AER SCENTS, Arquiste*, Astier de Villatte*, ALAIA, BARUTI, Bond No 9***, CARON, Diana Vreeland**, D.S&Durga*, ETRO, EXTRAIT DE MUSIQUE, Frederic Malle*, GOLDFIELD & BANKS, HIRAM GREEN, Homoelegans*, Heeley, J.F. Schwarzlose Berlin*, JUSBOX, Liquides Imaginaires*, La PARFUMERIE MODERNE, LENGLING Munich, Laura TONATTO, Masque*, Miller Harris****, MiN New York, MIYA SHINMA, Neela Vermeire, Naomi Goodzir, NISHANE, OLIVIER DURBANO*, ONE OF THOSE, Perris Monte Carlo, Parco 1923, PARFUMERIE PARTICULIERE, Richard Lüscher Britos*, SOUL COUTURE, Six Scents*, The Different Company*, Timothy Han, THIRDMAN, THE HOUSE OF OUD, THE VAGABOND PRINCE, ULRICH LANG NEW YORK, UNUM, vero.profumo*, VERDUU. Brands: at least Anima Vinci, Annick Goutal, Aesop, BDK Parfums, Comptoir Sud Pacifique, Diana Vreeland, Ella K, E.Coudray, Frapin, Honore des Pres, L.T.Piver, L'Artisan, Liquides Imaginaires, Lostmarc'h, Miller Harris, Penhaligon's, The Different Company, Teo Cabanel. Probably also Byredo and La Compagnie de provence. Brands: Angelo Sanzio, Houbigant, Kajal, Map of the Heart, Made in Pigalle, Miya Shinma, NEADEA & VALHOM, PARFUMERIE PARTICULIÈRE, Perris Monte Carlo, The Gate, Unum, Valhom Parfums. Brands: Andy Tauer, Aedes de Venustas, Beaufort, CZECH & SPEAKE, Diane Pernet, Eau d'Italie, Eight&Bob, Etat Libre d'Orange**, Frazer, Geo F. Trumper, Goldfield&Banks, Grossmith London, Heeley, Isabey, Jovoy, Miller Harris, Mona di Orio**, PENHALIGON'S, ROBERT PIGUET, ROYALL LIME BERMUDA LTD, Stephane Humbert Lucas, Tom Daxon, Tann Rokka. Almost out of stock: Agonist, Dorin, Frapin, MariaLux, Nasomatto, Nomenclature, Testa Maura, Teo Cabanel, YS Uzac. Brands: at least 2787 Parfums, Andrea Maack, Azagury, A Lab on Fire, Agonist, Acqua di Stresa, Byredo, BLOOD Concept, Brecourt, Boadicea the Victorious, biehl.parfumkunstwerke, Bond No 9, Czech & Speake, Cinema Olfactif, Carner, d'Orsay*, Etro, Fornasetti, Giulietta Capuleti, Histoires de Parfums, J.F. Schwarzlose Berlin*, Lorenzo Villoresi, Mad et Len, Mirco Buffini, Maison Incens, Nasomatto, Nobile 1942, O P.S.O, Panpuri*, Premiere Note, Robert Piguet, Re Profumo, S-Perfume, Six Scents, SoOud, The Scent of Departure, The Hype Noses, Tiziana Terenzi, Thirdman, The Fragrance Kitchen, Undergreen, Verduu. Brands: Benamor, Cale Fragranze d'Autore, Clive Christian*, Creed, D.R.Harris, d'Orsay*, Floris, Grandiflora, Heeley*, Histoires de Parfums*, Humiecki&Graef, Knize, Laboratorio Olfattivo*, Majda Bekkali, Mizensir, Montale*, Mancera*, Naomi Goodsir*, Noble Isle, Orlov, Olibere Parfums, Pantheon Roma*, Robert Piguet*, Stora Skuggan, Trueffit&Hill, The House of Oud. There also used to be Acqua di Biella****, Antonio de Curtis****, Jovoy***, Le Cercle des Parfumeurs Createurs, Taylor of Old Bond Street. Brands: 401 e Amatrice, Alexandre J, Amorvero, By Kilian, By Terry, Brecourt, Chez Dede, Cire Trudon, Casamorati, Ex Nihilo, Fornasetti, Fueguia 1833, Gabriella Chieffo, Gallivant, Grossmith London, Houbigant, Isabey, JTC Join the Club, La Manufacture, Memo, Maison Francis Kurkdjian, Masque, Nobile 1942, Olivier Durbano, Parco 1923, Perris Monte Carlo, Parfums MDCI**, Ramon Monegal, Roja Dove, vero.profumo, Von Eusendorff, Widian by Aj Arabia*, Yosh, Xerjoff. Brands: Arquiste, Acqua di Portofino, Annick Goutal, Amouage, Acqua di Parma, Byredo*****, Bond No 9, Comme des Garcons, Creed, Clive Christian, Czech & Speake, Diana Vreeland, Eight&Bob, Franck Bocklet, Guerlain exclusives*****, L'Artisan, LM Parfums, Miller et Bertaux***, Maitre Parfumeur et Gantier, Nobile 1942***, Nasomatto, Nez a Nez, Panama 1924, Pierre Guillaume Parfumerie Generale, Penhaligon's, Pineider, Rigaud, Roos&Roos (Dear Rose), Robert Piguet, Serge Lutens, Solange Azagury-Partridge, The House of Oud, The Merchant of Venice, Tom Ford Private Blend. Brands: Atkinsons, Acqua di Parma, Acqua di Genova, Alvarez Gomez, Acqua di Biella, Alt Innsbruck, Acca Kappa, Boellis, Baxter of California, Bond No 9, Creed, Caron, Castle Forbes, Czech&Speak, D.R.Harris, Floris, Frapin, Geoffrey Beene, Geo F Trumper, Hugh Parsons, Jardins d’Ecrivains, Knize, Kiehl's, Lorenzo Villoresi, L.T.Piver, Musgo Real, Noble Isle, Panama 1924, Penhaligon's, Rigaud, Rose&Co, Serge Lutens, Taylor of Old Bond Street, Truefitt & Hill, The Laundress, XPEC. Brands: Azagury, Andrea Maack, Boadicea the Victorious, BLOOD Concept, Bond No 9, Byredo****, Couto, Czech&Speake, Fornasetti, Re Profumo, Roads, Six Scents, S-Perfume, SoOud, The Hype Noses. Most probably also Agonist, Acqua di Stresa, Eight&Bob, Nasomatto. There's also another Avery' branch which was recently openes at Excelior (Galleria del Corso, 4) Brands see above. Brands: 27 87 Parfums, Accendis, Acqua dell'Elba, Acqua di Genova, Acqua di Montisola, Acqua di Portofino, Acqua di Sestri Levante, Aesop, Anna Paghera, BDK, Byredo, Baxter of California, Bjork & Berries, CLEAN Reserve, Carthusia, Ciatu the Soul of Sicily, Comptoir Sud Pacifique, Creed, Culti, Diptyque, Escentric Molecules, Fragonard, Francesca dell'Oro, Franck Boclet, Frapin, Goldfield & Banks, Gabriella Chieffo, Heeley, Homoelegans*, J.F. Schwarzlose, Juliette has a Gun, L'Artisan Parfumeur, LM Parfums, Laboratorio Olfattivo, Laboratory Perfumes, Laura Tonatto, Ligne St. Barth, Lubin, Maìtre Parfumeur et Gantier, Marinella, Migone 1866, Miller Harris, Miller et Bertaux, Molinard, Noble Isle, Nasomatto, Orto Parisi, Ortigia, Panama 1924, Profumo di Campiglio, Parco 1923, Penhaligon's, Stendhal, Santi Burgas, Simone Andreoli, Taylor of Old Bond Street, The Different Company, The Laundress, Tuttotondo, Terme di Saturnia, The Merchant of Venice, Verduu, Yvra1958, ZARKOPERFUME. Brands: Aedes de Venustas, Blend Oud, Boucheron exclusives, Culti, Clive Christian, Etro, Escentric Molecules, Eau d'Italie, Heeley, Il Profvmo, Jovoy, Jehanne Rigaud, Min New York, Memo, Moresque, Nasomatto, Perris Monte Carlo, Parfums Nicolai, Phuong Dang, The Harmonist, Thirdman, TOM FORD Neroli Portofino, Ulrich Lang, Unum, Vilhelm Parfumerie. Brands: Acqua di Portofino***, Acqua dell'Elba*, Benamor, Carthusia*, Creed, D.R.Harris, Eight&Bob, Evody, Floris, Geo F. Trumper, Hugh Parsons***, Jovoy, Keiko Mecheri, Knize, LOCHERBER, Majda Bekkali, Mendittorosa, Mizensir, Nasomatto, Noble Isle, Officina delle Essenze, ORTO PARISI, Orlov, Penhaligon's, Panama Boellis 1924, Pineider***, Rose&Co***, Taylor of Old Bond Street. Brands: Angelo Caroli, Carner*, NASOMATTO, Orto Parisi, Odin*, Perris Monte Carlo, Sauf. Brands: 777 Stephane Humbert Lucas, Andy Tauer Parfums, Annick Goutal, AEDES DE VENUSTAS, Amouage, BDK PROFUMI, Byredo, Brecourt, COMPTOIR SUD PACIFIQUE, Cire Trudon, Diptyque, Eight&Bob, FRANK BOCLET, Gabriella Chieffo, Goldfield&Banks, Initio, Isabey, Jovoy, Keiko Mecheri, L'Artisan, Laboratorio Olfattivo, Miller et Bertaux, Mona di Orio**, Montale, NEBBIA PROFUMI MILANO, Nomenclature**, Officina delle Essenze*, Parfum d'Empire, Perris Monte Carlo, Simone Andreoli, THE HOUSE OF OUD, Unum. There also used to be Amorvero, Cinq Mondes, Dr Vranjes, E.Coudray, I Profumi dell'Anima, Il Profumo, Jardin De France, Linari, Lostmarc'h, Panpuri, Penhaligon's, You First. Brands: Brecourt, Caron, Jardins d'Ecrivains**, Le Galion, Mad et Len, Olibere Parfums, Oliver & Co, Parfums Nicolai, Robert Piguet, Tann Rokka, Une Nuit Nomade (Une Nuit a Bali). There also used to be Arquiste**, Isabey, Keiko Mecheri, Meo Fusciuni, Orso, Peccato Originale, Terry de Gunzburg. Brands: Acqua di Genova, Antonio de Curtis, Acqua dell'Elba*, Acca Kappa, Alvarez Gomez, Alt Innsbruck, Baxter of California, Boellis, Castle Forbes, Clive Christian, Creed, D.R.Harris, Dr.Vranjes, Diptyque***, Féret Parfumeur, Floris, Geo F Trumper, Grandiflora, Knize, Lorenzo Villoresi, Maitre Parfumeur et Gantier, Mizensir, Mad Parfums, Orlov, Panama 1924, Penhaligon's, Rose of Manchester, Rigaud, Robert Piguet, Taylor of Old Bond Street, Truefitt & Hil. Brands: ANTONIO de CURTIS, Armani Prive, Acqua di Parma, Creed, Jean Patou, Il Profvmo, Mark Birley, Nobile 1942, Patyka, Robert Piguet, Terry de Gunzburg, Zero Molecule. Brands: Agonist, Acqua di Parma, Boadicea the Victorious, Bond No 9, Clive Christian, Creed, Comme des Garcons, Jean Charles Brosseau, Lorenzo Villoresi, Mancera, Montale, Nasomatto, Rose&Co, Serge Lutens. There also used to be Frau Tonis Parfum. Brands: Acqua di Parma, Armani Prive, Bruno Acampora, Bois 1920, Boadicea the Victorious, Caron, Creed, Carthusia, Demeter the Library of Fragrances, Gritti, Etro, Etat Libre d`Orange, Histoires de Parfums, Jean Patou, Juliette has a Gun, Lubin, Map of the Heart*, Maria Candida Gentile, Nasomatto, Ortigia, Robert Piguet, Roos&Roos (Dear Rose), Tom Ford Private Blend, Terry de Gunzburg, Van Cleef&Arpels Collection Extraordinaire. +What I've seen there, as of July 2018: Crabtree&Evelyn, Eight&Bob, Keiko Mecheri, Serge Lutens, Tuttotondo. Partner branch at VIA BELFIORE, 10 stocks at least Evody*, Histoires de Parfums, Lorenzo Villoresi*, Lubin, Map of the Heart*, Maria Candida Gentile*, Molton Brown, Montale, Olfactive Studio, Ortigia, Robert Piguet. Additionally these brands are listed by the homepage of the store: Amouage, Atelier Cologne**, Costume National, Jo Malone**, Ligne St Barth, Orto Parisi, Patyka. Brands: 19-69 NINETEEN SIXTY NINE, Blood Concept, Comme des Garcons (incl. CdG' series), Escentric Molecules, Etat Libre d'Orange, Goti, Gosha Rubchinsky, Henrick Vibskov, Kinski, Monom, Mad et Len, Nasomatto, Orto Parisi, TOM FORD Private Blend, The Beautiful Mind, Wiener Blut. Brands: Abel Odor Parfums, Bjork&Berries, Laboratory Parfums. Brands: Bond No 9, Costume National, Crabtree&Evelyn, Ideo Parfumeurs, Jusbox Perfumes, Juliette has a Gun, Ligne St Barth, Lubin**, Molton Brown, Profumi del Forte, Tuttotondo. Brands: Atelier Oblique, Arty Fragrances*, Escentric Molecules, Kinski, Mark Buxton**, The Beautiful Mind. Brands: at least biehl.parfumkunstwerke, Carner, Evody***, Hugh Parsons, Pineider, Panama 1924. There also used to be Alice & Peter, Compoir Sud Pacifique, Creed, Cinq Mondes, E.Coudray, Fragonard, Floris****, Diptyque, Jardin de France, Knize, L'Artisan, My Inner Island, Mirum, Phaedon. Brands: ACQUA DI PARMA, COMME DES GARCONS, Dr Vranjes, Fragonard, Flowers of Windsow, HERVE'GAMBS, Histoires de Parfums**, LA MAISON DE LA VANILLE, Les Fleurs de Bach, Rance, REMINISCENCE PARIS, Yardley. Brands: Acqua di Parma, Eight&Bob, Kobo, Profumi del Forte. Brands: Acca Kappa, Carthusia, Esteban, Ortigia, Officina delle Essenze, Parfums Nicolai, Robert Piguet, Voluspa. Corso Di Porta Ticinese 77 (or No 66). Metro Station - Crocetta. Brands: Astier de Villatte, Parco 1923. Brands: Acqua di Parma, Atelier Cologne, By Kilian, Jo Malone, Maison Margiela, Reminiscence, Serge Lutens. Brands: Creed, Floris, Molinard, Robert Piguet. Brands: there used to be Aedes, MARY GREENWELL, MariaLux, Olfactive Studio, SdL, Tann Rokka. Brands: Comme des Garcons, Laura Mercier (@Vercelli), Maison Martin Margiela. 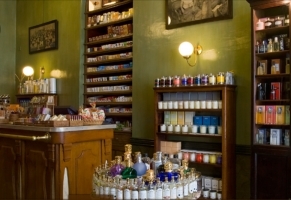 Brands: if still opened, these brands used to be stocked there: ANDREE PUTMAN, Creed, CZECH & SPEAKE, CARTHUSIA, DIPTYQUE, Huitieme Art, Honore des Pres, Hilde Soliani, KNIZE, L.T.PIVER, L'ARTISAN PARFUMEUR, Penhaligon's, Robert PIGUET, TRUEFITT & HILL, Taylor of Old Bond Street. Malpensa Airport: according to Russian forums, duty free stores at Malpensa stock Chanel les Exclusifs, Etro (@Etro' boutique) and Tom Ford Private Blend. Linate Airport: Etro @ Etro' boutique. Cale Fragranze d'Autore (Via Santa Maria alla Porta 5) The store moved to Corso Magenta 22, however this old address remains their office and showroom. Hermes (Via Sant Andrea 21) Moved to Via Montenapoleone 12.